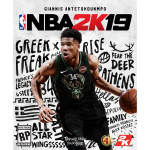 Let’s get the weekend started with the latest file additions for NBA 2K19 PC! The newest releases from our modding community include dornas, jerseys, courts, rosters, and more. Pick them all up at the links below!